For runners and walkers to avoid injury and perform at their best, the most important piece of equipment is their footwear. A combination of shoes, insoles, and top quality socks are essential. There is not a "best shoe” or “best brand"--everyone has unique needs and so the path to your "best fit" solution starts with Fitlosophy™--the Fleet Feet Sports approach to fit! In order to provide the widest selection of performance-grade shoes for our customers, we wear-test and evaluate every shoe that we sell. Only the top quality models find a home on our shoe wall. Our brands have the highest reputations for quality and performance, and we are constantly on the lookout for new shoes that deserve the honor of a spot in our store and on your feet! 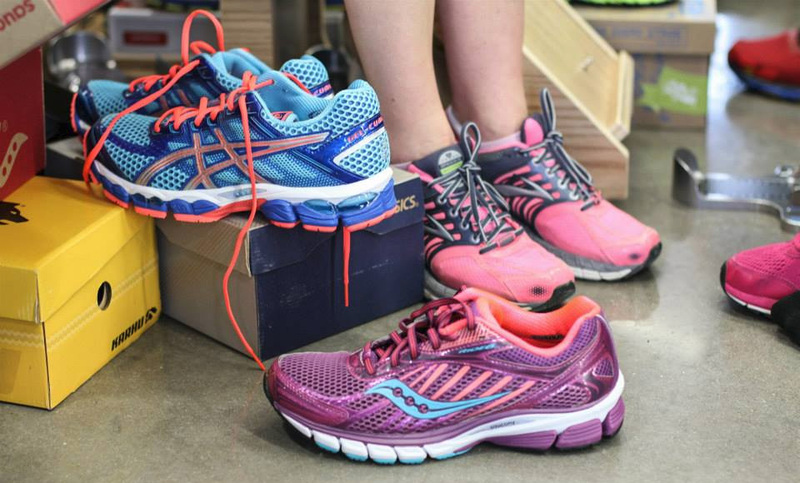 Currently, we carry performance-grade shoes from New Balance, Brooks, Asics, Mizuno, Saucony, Adidas, Pearl Izumi, Salomon, Nike, Hoka One One, Karhu and Newton. Our women's shoes range in size from 6 to 12 in standard width, plus a selection of styles in narrow and wide widths. We stock men's shoes from 7 to 14 in both standard and wide widths. If you need bigger, smaller, wider, or narrower we will order it for you! We also carry running shoes for kids sizes 2 through 6. We carry a full line of Superfeet insoles and our staff is trained to help match you with the best insert for your needs. Completing the footwear picture is our selection of top quality running/walking socks from Balega, Darn Tough, Smart Wool and Feetures.